The Arms Race expansion for EVE Online dropped today, and players using the free-to-play option are now able to do a lot more in the game. Megathron-class battleship with a Space Police Skin. The first time I ever logged into EVE, I found myself browsing the game's ship tree, a massive visual layout of the nearly 200 ships that you could fly through outer space. I did not start with the small ones. My gaze settled on the Battleship class ships, specifically the Gallente Megathron. Every spare moment I had for the next two or three weeks was dedicated to being able to fly this giant battleship. I researched how to equip it, the skills to train it, and I saved up every bit of ISK I could to purchase it when the time came. This goal kept me logging into EVE, forced me to learn the game's ins and outs, and most importantly helped me to power through the infamous barrier to entry EVE is known for. In the end, it was a terrible idea to put myself into such a large and complicated ship so quickly, but that's a story for another day. EVE's "Alpha Clone" players - that is, those who are playing under the limited free-to-play option - were previously restricted to a small variety of ships, locked into a choice they make before even finishing creating their character, with no way around it other than making another brand-new pilot. As of today, that will change. With today's release of the Arms Race expansion, Alpha Clones are being given the ability to fly Battlecruisers and Battleships, two of the most important classes of ships in almost any area of gameplay. Small skirmishes are decided by frigates and cruisers, the smaller vessels Alpha Clones currently have access to, but the large-scale wars that brought EVE its fame are fought with heavier iron. The same is true for PVE in EVE: The most rewarding activities are out of reach of F2P players, because the ships they can use just don't make the grade. However, simply being allowed to fly these ships would not be enough to make a new player successful in doing so. They are complicated vessels that require many more of a player's skills working in concert to make them successful. That's why CCP is making changes to over 100 other skills, and either increasing the amount that an F2Pplayer can specialise in the skill, or opening its availability to them for the first time. After the announcement of what features were being allowed to be used on a free account, some veteran players began expressing concern that too much of the game was being given away for free. "We wanted to expand what the Alpha Clones can do," CCP Fozzie, one of the game's Senior Game Developers, said in response. "They are intended to not feel like trials, but to feel like a real EVE experience". There are still some restrictions surrounding Alpha Clones and their new-found power, to ensure the game's economy and overall balance are not dramatically affected by these changes. While Alpha Clones have been given access to a broader array of skills, they can't put skill points into them to power them up - not for free, anyway. They have a few options to train up the skills, such as buy the skill points from other players, or converting their account to a paid Omega one for a month. There's also the "Daily Alpha Injector", which lets you purchase a few skill points for a small amount of real-world money, but only once per day per character. All of the changes in the Arms Race expansion add up to a vastly more empowered free-to-play player, no matter if they're looking for PvP or for PvE. On the PvE side of things, players are able to bring their new battleships to complete the higher tiers of Resource Wars with a few of their friends, or attempt to tackle the pirate forward operating bases. Both of these features were recently launched in the Lifeblood expansion, and were designed with the newly empowered Alpha Clones in mind. 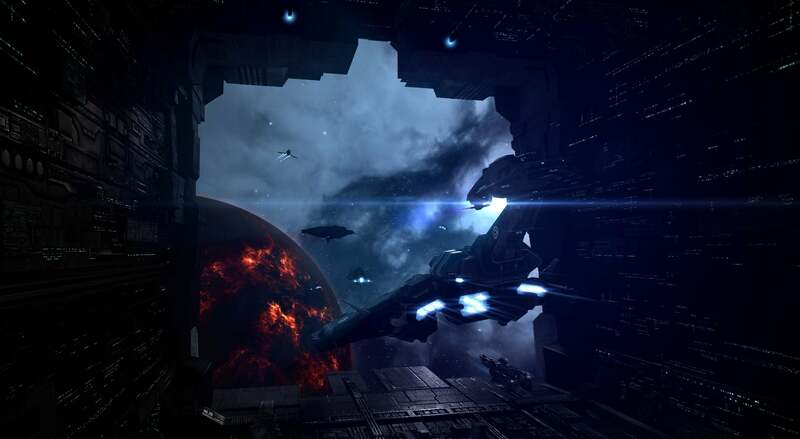 If they want a more epic PvE experience, battleships are often considered required for Incursions, the EVE Online equivalent of a traditional MMO raid. Fleets of 15-40 players in combat with powerful NPCs for the chance at valuable rewards. For others who want player vs. player action in one of the most brutal environments available in a contemporary MMO, Arms Race gives Alpha Clones the ability to put themselves in the massive fleets formed by player alliances. 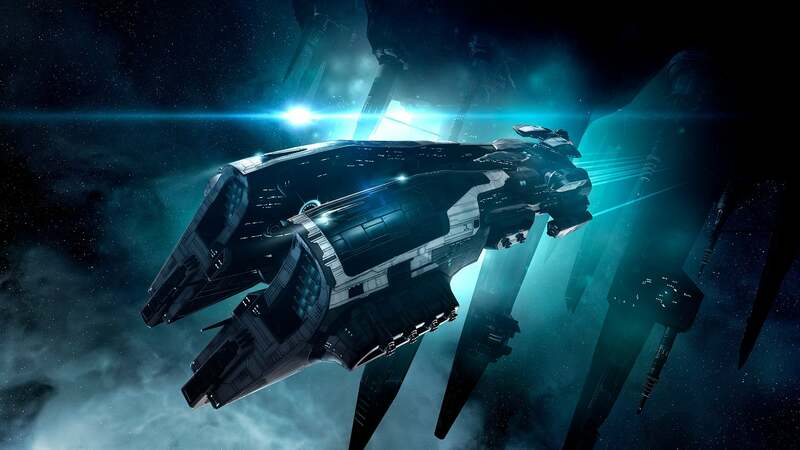 No longer relegated to smaller ships in supportive roles, the F2P player battleships will help form the iron bulwark or the crashing hammer blow of the next great EVE Online war. Discussions are happening within the player empires even now of how to handle these new combatants, to make sure that they can be fully utilised. In short, these changes have the potential to change the landscape of EVE Online dramatically.